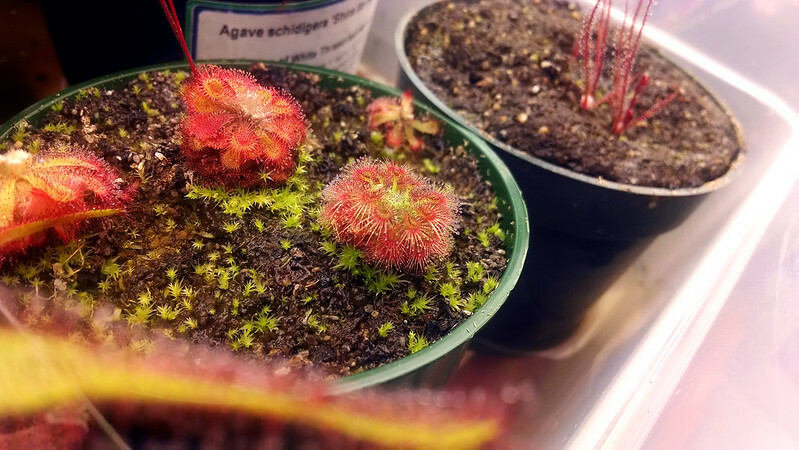 I really love Drosera allantostigma |Sundews Etc. I've mentioned it before, but I really love Drosera allantostigma. It was my first pygmy, and is still far and away my favorite. It's frequently a contender for "favorite plant in my collection." Just look at this beauty. There are like 20 active leaves on this plant. What an amazing rosette! It's got everything – a beautiful rosette, lovely colors, delicate tentacles, and nice dew. It's also got a sort of mounded shape when mature that's difficult to capture in a photograph, but really stunning in person. It's almost bigger than that Drosera tokaiensis in the middle. My favorite plant. I've been growing this particular plant since January, when I received it as a hitchhiker in another pot. 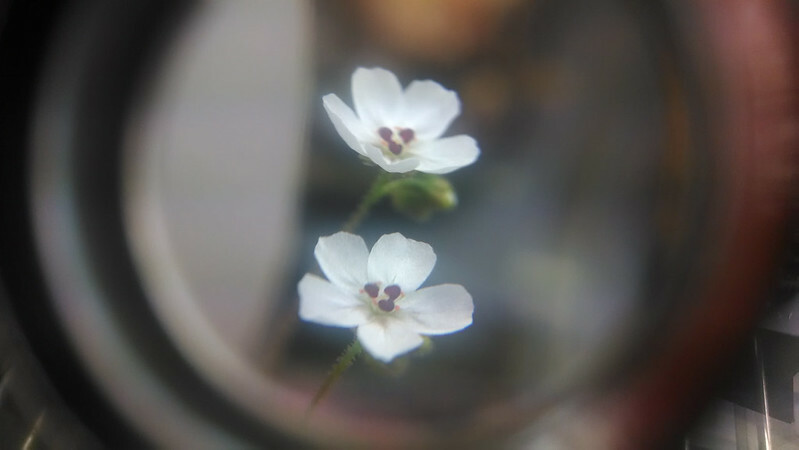 I also received some D. allantostigma during the NASC auction which are now in bloom! I'm gonna get some gemmae out of these guys come September. Just you watch. 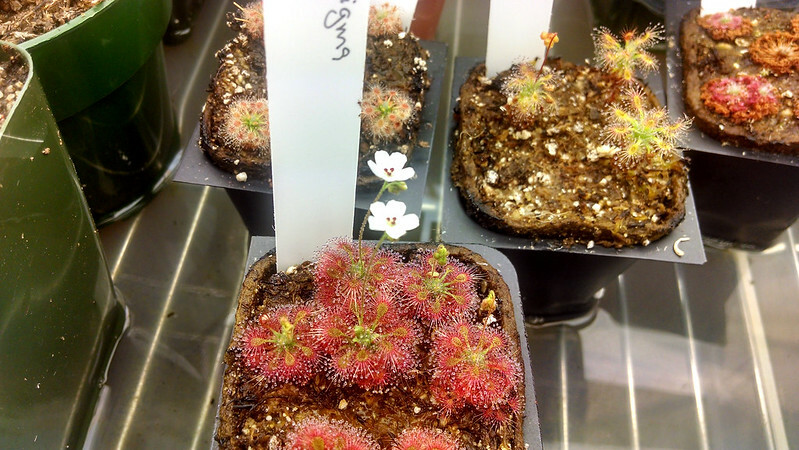 They're a bit smaller than the Drosera helodes flowers, but still super cute. And look how great the plants look too! I need a proper camera for good photos of flowers, but these are so cute and cheery. I really love this plant. 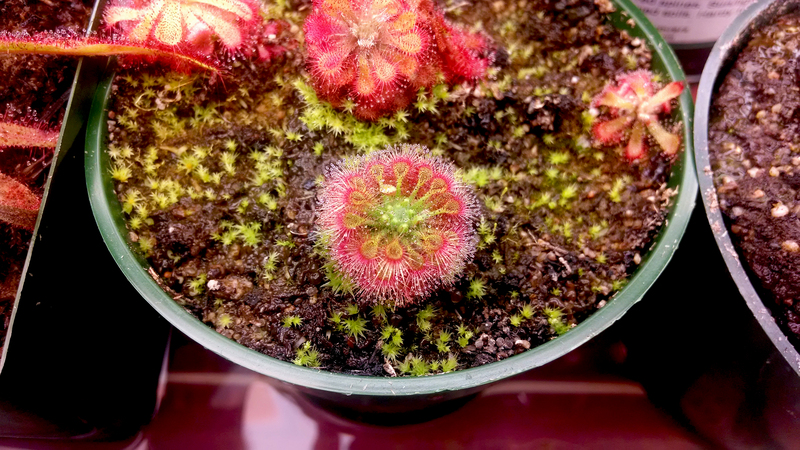 If you grow only one pygmy, this is the one I recommend. It's wonderful.